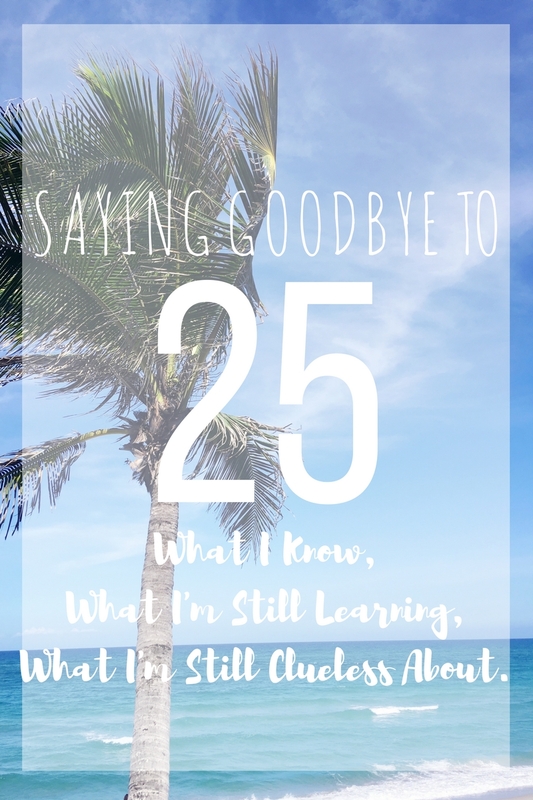 Saying Goodbye to 25 | What I Know, What I Don't, and What I'm Still Figuring Out. 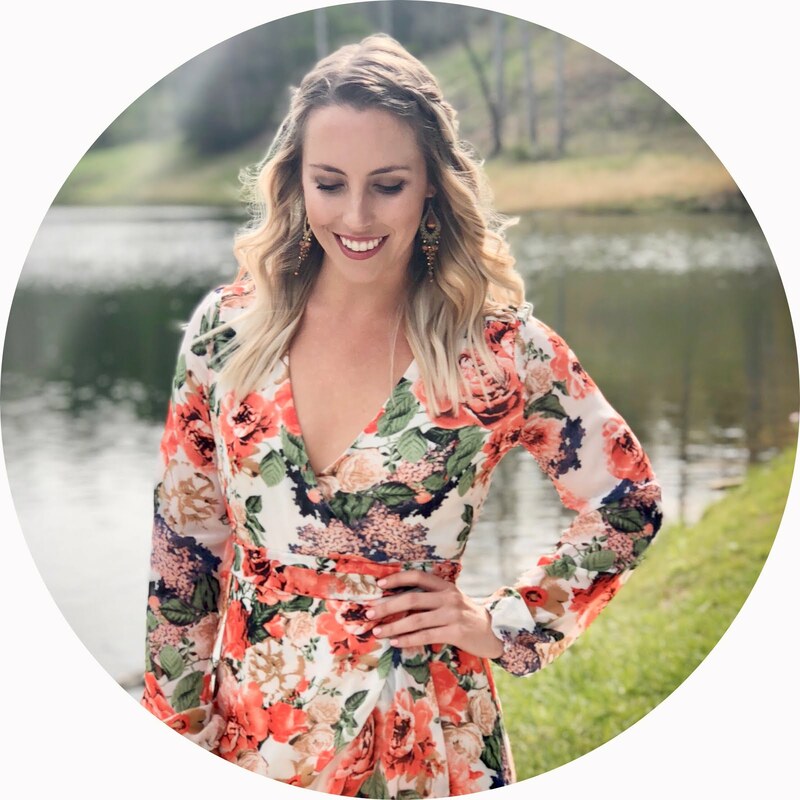 I'm finishing up this blog post from the crisp white bedsheets of the hotel room we'll be spending the next three nights in over on the East coast of Florida in Jupiter. I've spent the last week super stressed out trying to get all the school things/work things/life things done prior to Thursday morning so I could truly relax and enjoy our little mini trip for my birthday (on Saturday!) and I have the breakouts and eye twitches to show for it. Really. How to change a tire. I mean, how do you even really learn this if you’re not in the dire situation of actually having a flat tire? RIGHT? Vacuum. (Ryan said this one – I 100% know how to vacuum, but my skills are clearly not up to his standards). How to drink enough water. My S’Well bottle is helping, but I’m pretty sure that I’m dehydrated about 90% of my life. Not something I’m bragging about – just something that is still a thing for me, even at 25. When to quit while I’m ahead. In conversations, in school, in everyday situations. How to take everything one day at a time. Being a human is kind of weird. We tend to overthink things – to worry and stress out about the future, something that we truly cannot predict. I still find myself hopping on to a mental hamster wheel, wondering what my next move will be, how to prepare for it, how I’ll feel about it in five years or twenty. Sometimes I wonder when this is going to change, or if it ever will. My own personal style. Why can’t stretchy shorts, bralettes, and loose fitting t-shirts be appropriate attire for literally everything? I donut get it. Knowing that it’s impossible to be friends with everybody. There are some people in life that you will just never connect with on a legitimate friendship level, whether they’re coworkers or friends of friends, and that’s perfectly fine. Understanding that love is something worth fighting for, but you shouldn’t have to often. In fact, you should hardly have to at all. I’ve had several long term relationships, and while I’m a firm believer in “to each their own,” I’ve come to find that I thrive the most in relationships that don’t harp on conflict. How to keep a straight face whilst negotiating. Whether I’m buying a car, dealing with overages on a hotel bill, or just plain ol’ trying to get my way (ha! It happens…), I think I’ve finally mastered the art of the raised eyebrows and neutral yet stern “NOT TA-DAY” voice and matching facial expressions. Picking my battles wisely.How to get on Ryan’s nerves (another “cute” comment from the peanut gallery). Making a bomb dot com margarita at home. Knowing what I want to do as a career. Kinda…still have to narrow down the setting, population, etc. But you knowww, we’ll get there. Hard to believe I’ll be 26 in just a few days, but I’m not all that worried about getting older. Beats the alternative, doesn’t it?